Just 48 days from now, 20 horses will line up at Churchill Downs and the Kentucky Derby will be run for the 139th time. Things are pretty hectic in all the departments at Churchill Downs as we continue to prepare to host more than 250,000 people over one weekend. I was at The Downs for the Derby in 2011 and assisted in the press box, but last year was my first time going through a full year of Derby preparations. I didn’t know what I was in for and I worked harder than I ever had in my life. But in the end, I felt like I was a small part of Derby 138 and I felt an amazing sense of accomplishment as I watched I’ll Have Another cross the line first in front of a record crowd. This year, I know what I’m in for and I can’t decide if that’s a good thing or a bad thing. I know that I can do it, but I also know how hard these next seven weeks are going to be. However, there also will be much excitement and anticipation and I’m looking forward to seeing another 3-year-old put it all together on the First Saturday in May and make history. I couldn’t tell you who’s going to win Derby 139, but if you’d like my early picks, I currently like Tiz the Truth, Verrazano and Orb. Obviously, I’ve done a bad job of updating the blog on a regular basis since I took the job at Churchill Downs. I think there are three reasons for this…1) I’m more busy than I was in college. 2) After a day of reading copy and writing press releases, I don’t have much interest in doing more of it when I get home. 3) Twitter and Facebook. I think I saw someone on Twitter say that fewer blogs are updating on a regular basis because it’s easier to update people through social media. When news comes along in my life that I think would be interesting to others, I usually post it on Facebook and Twitter. So…if you’d like more regular updates on my horses and career, then follow me on Twitter @TraversMan or send me a friend request on Facebook. Also, you should check out KentuckyDerby.com and ChurchillDown.com regularly for the most up-to-date information on the Kentucky Derby and Kentucky Oaks. Barn notes and Derby notes will be starting in April and there’s no better place to find information on the Kentucky Derby. One thing I’ve been doing lately is a weekend preview of the prep races on the “Road to the Kentucky Derby” and “Road to the Kentucky Oaks.” They are posted each Thursday afternoon on the Churchill Downs and Kentucky Derby websites. You can read the most recent one at http://tinyurl.com/cmkwb6x. As you will read, each weekend preview contains “10 Things to Watch.” So, in thinking along those lines, I thought I’d give five updates to the readers before the Derby storm comes on in full force. I’d give 10, but…hey…it’s late. 1. I signed a contract a few weeks ago to send Sky to 2010 Kentucky Derby winner Super Saver on a mare share with WinStar Farm. 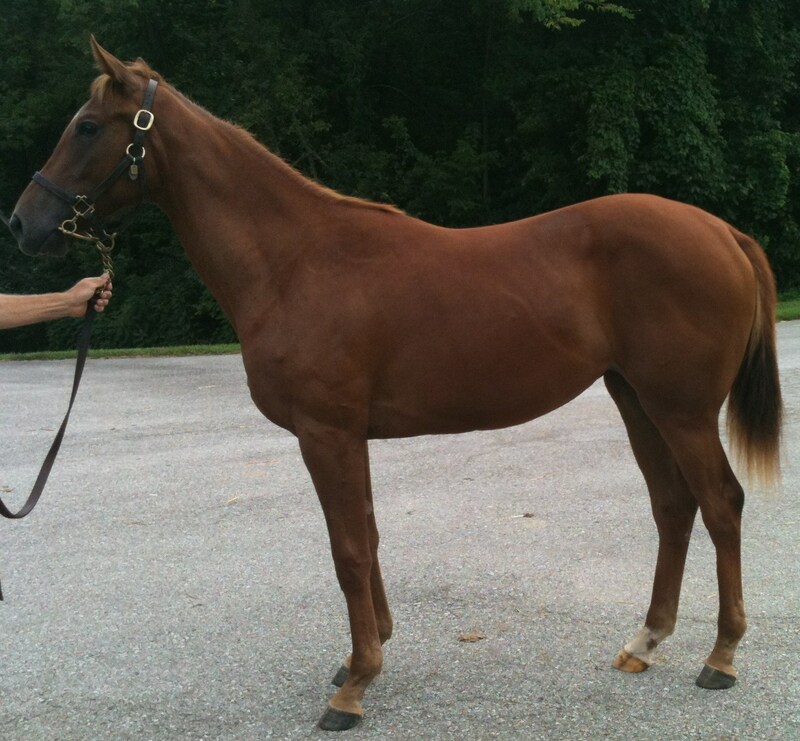 Obviously, I will post more about this as we get closer to the date, but yes, I plan to sell Sky at the 2013 Keeneland November Breeding Stock sale in foal to Super Saver. 2. Sky currently is in foal to Nobiz Like Shobiz and everything seems to be going well. 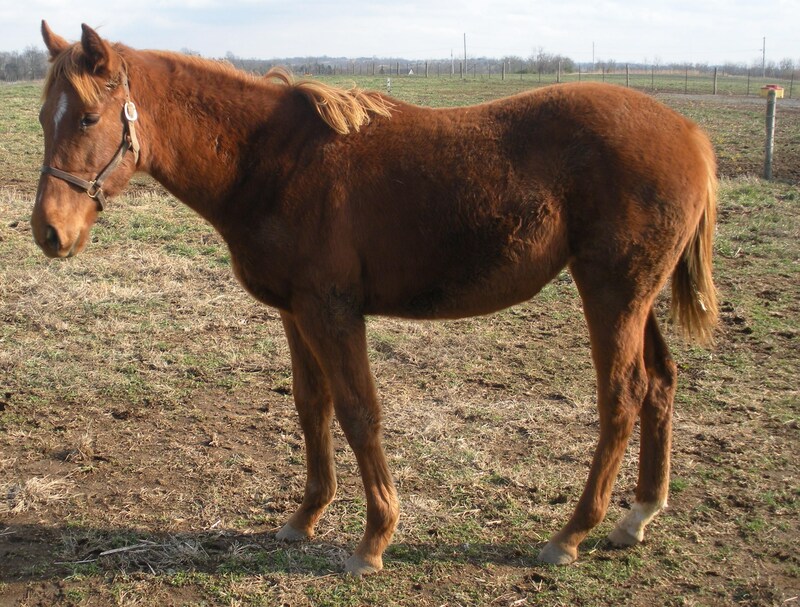 She should foal in mid-to-late April. 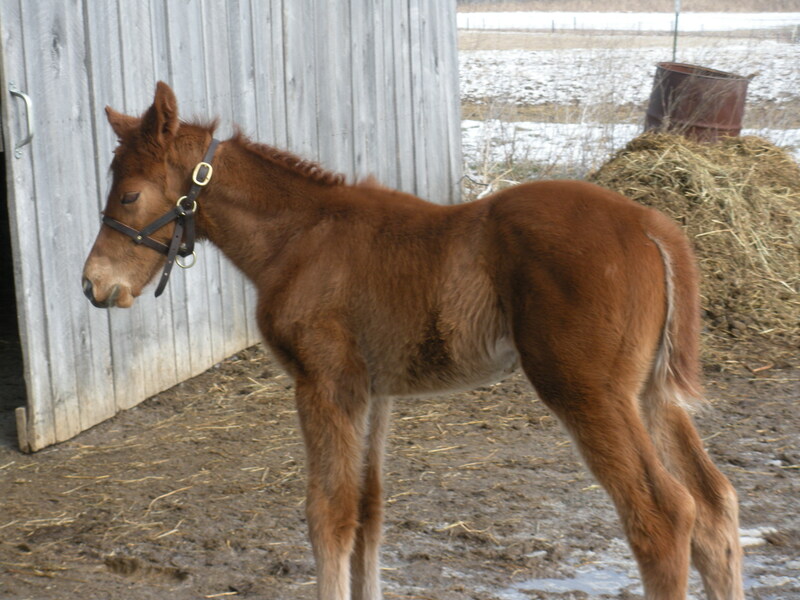 My next post hopefully will be full of pictures of the healthy foal. Reminder…I leased Sky out this breeding season to another gentleman and so I will not own the foal; however, I think I’ll consider myself an uncle. 3. Sky’s first foal, Sky Above, breezed four furlongs in :48.30 at Palm Beach Downs on March 13 in his first published workout since finishing third in an allowance at Keeneland in October. 4. As far as I know, Skype (Score Classy) is still in Puerto Rico. She hasn’t raced since Jan. 1 and, unfortunately, they don’t publish workouts. Her record stands at 5-4-0 from 10 starts and earnings of $90,314. She is a Grade III winner and Grade I placed at 2 and 3. I’m hopeful she’s getting some much deserved R & R.
5. 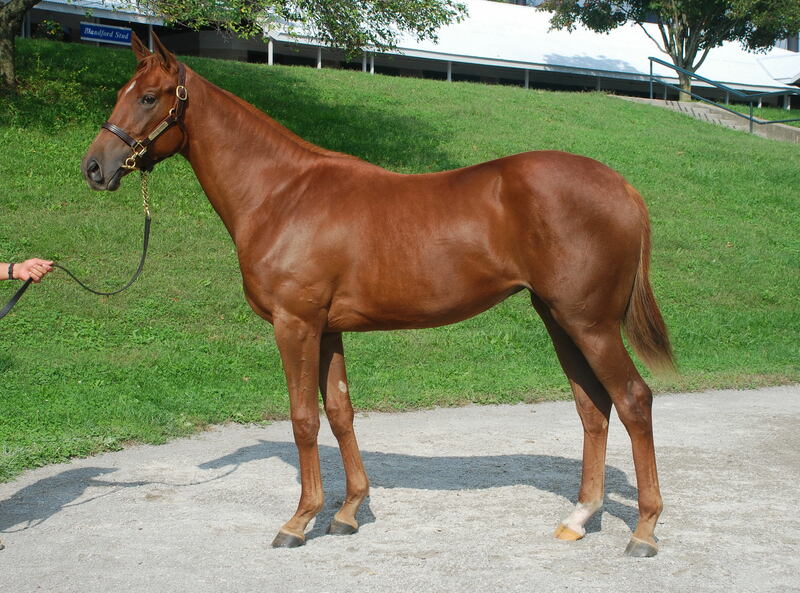 Faith, as most of you know, was sold at the 2012 Fasig-Tipton Kentucky Fall Yearlings Sale for $20,000. I’m told she was bought by Puerto Rican owners who have been impressed with her half-sister, Skype. Word on the street is she has been named Stephania My Love. I’m not a fan. She’ll always be Faith to me. Oh…one last thing…can anyone believe this photo was taken more than three years ago? What an amazing ride it has been. The first couple of pictures are of Skype during February 2010 when she was just a couple weeks old. For anyone that did not see the results, Skype sold for $7,000 to Jose Garcia Ronzino, agent for Luis Morales. Thank you to everyone for all the support. I was overwhelmed with all the kind words that were sent to me throughout the week. I’ll post in a few days some thoughts about my first sales experience. So stay tuned. Well the day is almost here. Skype arrived at Barn 40 at Keeneland on Wednesday afternoon, she will be shown to prospective buyers today (Thursday) and will sell on Friday morning as Hip 3694. Jennie Rees, the turf writer for the Courier-Journal in Louisville, wrote a lovely piece on Skype today. 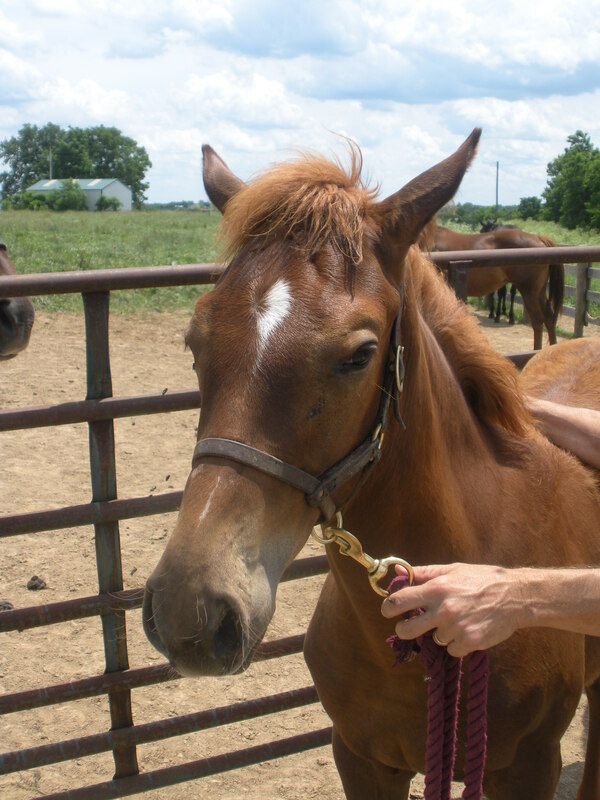 You can read it by clicking on the following link – http://blogs.courier-journal.com/racing/2011/09/21/college-kid-needs-money-buy-his-filly/. To clarify…the words “college kid” should probably be replaced with “recent college grad.” But oh well…I could still pass for a freshman and I guess I could still be considered a college kid considering I’ve only been out in the real world for four months. Anyway you can find a lot of good information at the link and read a few of my thoughts on the sale. You can even see the advertisement I made for Skype and have been distributing to prospective buyers. Now…I will get a little more personal and try to tell you about my feelings going into the sale that you won’t find in Jennie’s article. 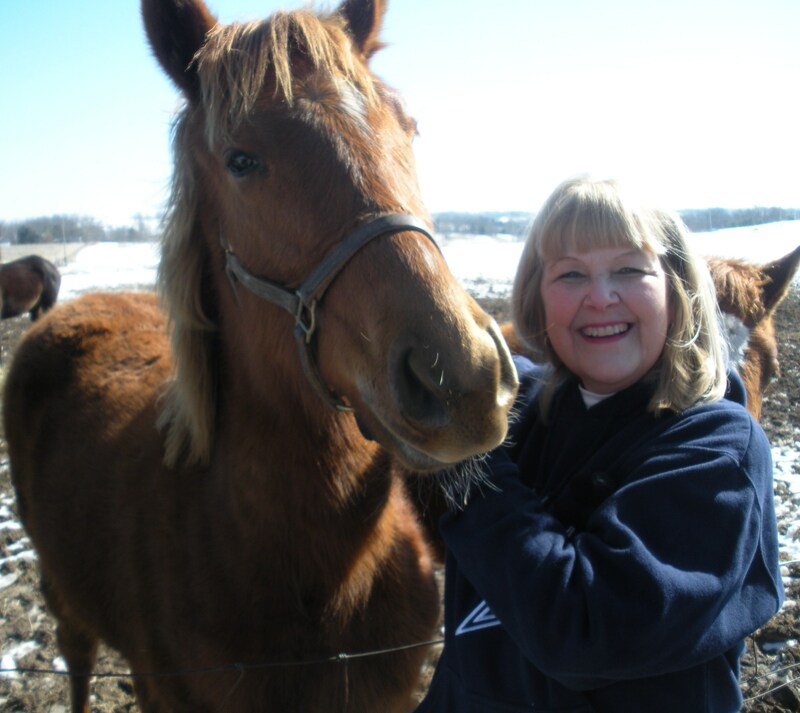 The purpose of this blog was to give readers a look into my life in the horse industry and my experiences as a first time owner/breeder. I have done my best to get as personal as possible and my hope was that readers could enjoy this fabulous ride with me. A lot of times I have a pretty good idea about what I’m going to see when I click the “New Post” button on my blog; however, today the words just won’t come to me. Because I couldn’t describe to someone how I am feeling right now if I tried. I’ve never felt so many emotions at one time. I’m nervous, excited, anxious, proud, happy and sad all at once. Since February of 2010, all I’ve talked about has been Sky and Skype and then the next February it became Sky, Skype and Faith. On Friday afternoon, I won’t be Skype’s owner anymore and when people ask me the names of my horses, I’m going to reply with “Sky and Faith.” No more Skype. It’s just a weird thing to think about. Now some of you might be thinking, “Come on, kid. She’s a sales horse and you knew you were going to sell her at some point from the day you bought her.” Well, that’s true. I knew this day would come eventually. But parents also know they’re kids will someday leave home, but that day still comes with a whirlwind of emotions. Because things simply aren’t going to be the same. Speaking of kids…I think I now know how my mom and dad felt about me when I would compete in sports. Sometimes I would think, “My parents probably wish I was bigger, stronger and faster. They would probably rather have that kid or that kid. I’m not as good as those other players.” Now I realize that none of that mattered. They were proud of me because I was their kid. They didn’t want anyone else. And whether I went 5-5 or 0-5, they were still going to love me. That’s how I feel going into this sale with Skype. I don’t have 500 horses like some people…I don’t have 50 horses…I have three and because of that I have grown extra attached to each of them. Sure it would be nice if Skype was by Bernardini instead of Even the Score or if Sky had won a Grade I race. But that’s not how things are and I’m fine with that. I love Skype and I couldn’t be more proud of her or more happy that I had the privilege of being her owner these last couple years. And I hope people realize that every horse in the Keeneland sale means a lot to someone somewhere. Sure the amount of press that horses get decreases as the sale continues and some people don’t even pay attention to the Keeneland sale after the first few books. But the horses in Book 6 matter just as much as those in Book 1. While they do not carry equal monetary values, horses in Book 6 are cared for just as much and have affected just as many lives. For example, in less than two years, Skype has impacted the lives of Sam Penn (breeder), Frank Mitchell and his family who boarded her at their farm in Salvisa, Ky, Tom Evans and his team at Trackside Farm, my entire family and numerous friends that have come to see her throughout her life. And things have only just begun. Imagine how many people will be affected by Skype in her lifetime. Skype has touched a lot of hearts and will continue to do so; however, I would be surprised if she will ever steal anyone’s heart like she has stolen mine. Skype will get a new owner on Friday, but she’ll always be my girl and will always have a place in my heart. I am excited to see where her life takes her and I can’t wait to update the blog on her first published workout and her first career win (and hopefully many wins). Well it’s hard to believe, but just one month from today Skype will sell at the Keeneland September Yearling Sale. It’s been such an amazing ride since I bought her and Sky in February of 2010 when Skype was just one week old. Time has flown by since then and it’s crazy to think Skype will have a new owner on September 23rd. I went to see Skype a couple of weeks ago at Trackside Farm in Versailles, where she is being prepped by Tom Evans. She looked absolutely amazing and is really starting to take the shape of a racehorse. I forgot to take my camera with me, but I did snap this picture with my iPhone. She’s grown up a bit from when I first bought her . . .
It’s amazing how attached I am to Skype. I know that’s not the “professional” thing to do, but it was impossible to avoid. I don’t know how many horses that I’ll own in my life…maybe hundreds….maybe just a handful, but regardless, Sky and Skype will always have a piece of my heart. I can’t look at a horse without thinking of them. They were my first ones and they will always be my girls, no matter whose name is on their Jockey Club papers. I honestly don’t know how I am going to feel when Skype sells. I will say that I cried the day that I bought her and I wouldn’t be surprised if I cry the day I sell her. In fact, even writing this post has me choked up. 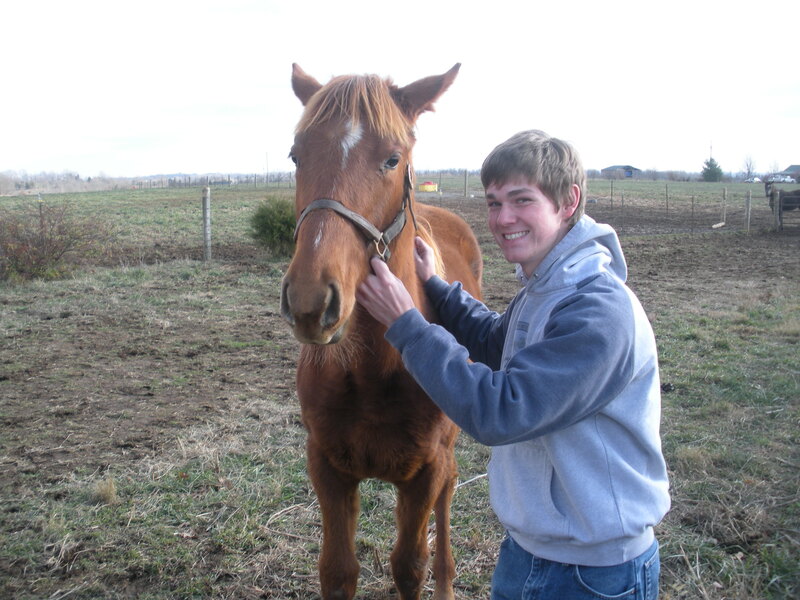 I can’t help but think of the day that I became a horse owner and all the ups and downs that have come since then. But even with the occasional downs, Skype has brought me and my family more joy than I ever could have imagined. 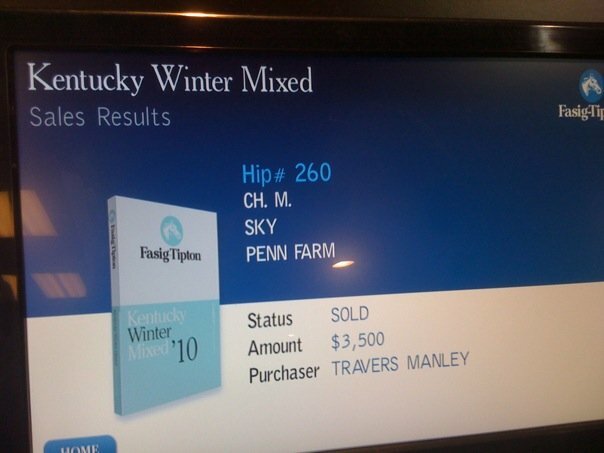 Well, that’s true that her name is not hip 3694, but that is what she will be referred to at the Keeneland sale. However, as I have said before, she will always be Skype to me. Well it’s been almost two weeks since my last post and so it’s time for lots of updates. There is a lot to tell, so I’ve decided to put a sort of Twitter spin on this post. For those of you that are unfamiliar, the website Twitter allows users to post messages; however, the messages are limited to 140 characters. This ensures the messages are short and sweet. I won’t limit myself to 140 characters, but I’ll be keeping things brief. 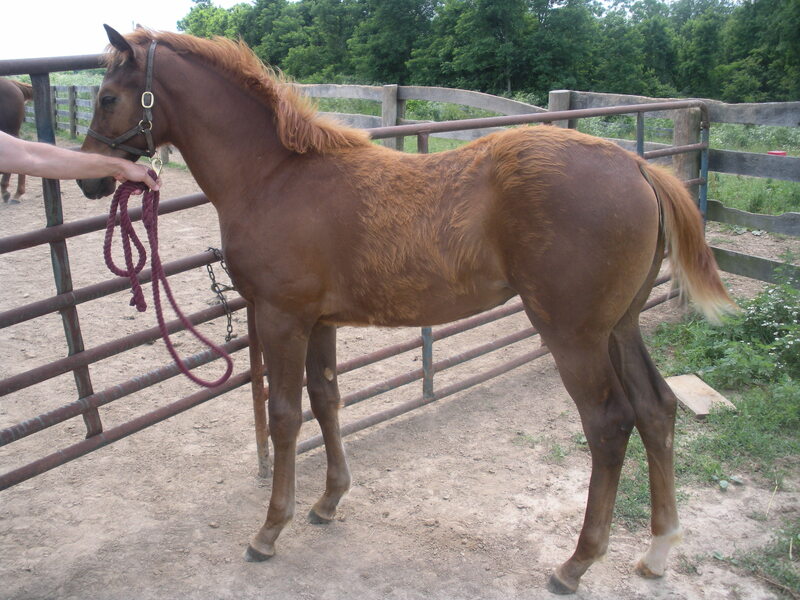 Sky was bred to Stevie Wonderboy on April 7 and was pronounced to be in-foal on April 25. Unfortunately, Sky pulled a Zenyatta and it was discovered the she had lost the pregnancy when she was rechecked at the beginning of May. Sky is completely healthy, but these things sometimes happen. She was sent back to Stevie Wonderboy on May 6, Kentucky Oaks Day. I was working at Churchill Downs at the time and was unable to accompany Sky to the breeding shed, but I’m told everything went smoothly. She will be checked for pregnancy at the beginning of next week. Back in January, I listed several reasons as to why Skype would not be sold at a public auction. I also wrote that plans could always change and one can never say never in this business. Well, plans did change and Skype is entered in the 2011 Keeneland September Yearling Sale. She has matured nicely over the past several months and I believe she could do well at the sale. This is a new development and I will give more details as I know them. I went out to see the horses on May 10 and Faith looked great. She was quite the shy filly at the beginning, but has definitely gained her independence and has no problem wandering off from her mom. Faith is happy, healthy, and growing like a weed. 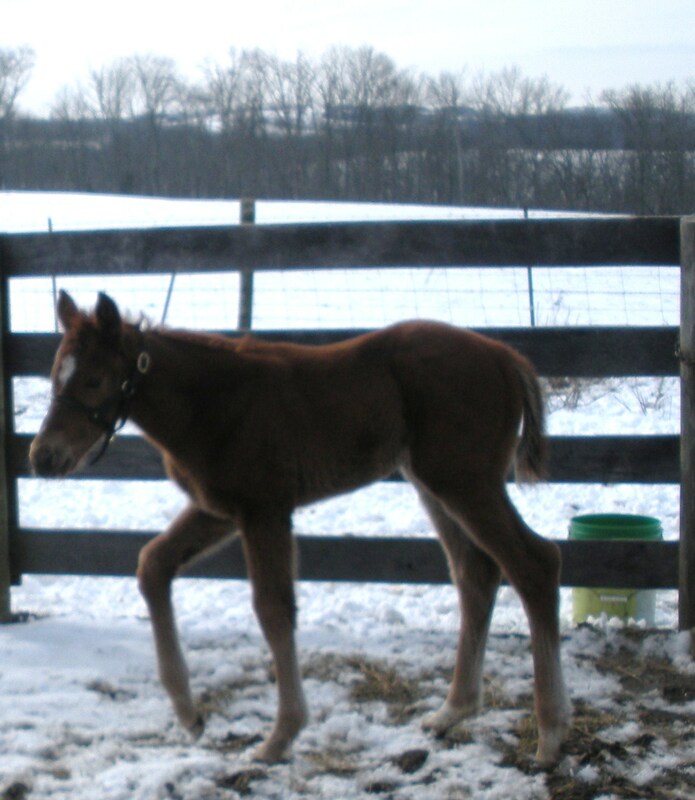 Sky Above is the registered name of Sky’s first foal, a colt by Artie Schiller. I was able to contact the owner of Sky Above last week and found out that he is training at the Webb Carroll Training Center in South Carolina and is progressing nicely. He will want to go two-turns and could make his debut this fall. I was asked to help out in the press box during the Kentucky Derby and it was a great day. I had to run a few errands, but for the most part I just enjoyed the races. Unfortunately, I did not pick the winner of the Derby for the fourth consecutive year (Street Sense was my last winner), but my view of the race from the press box made everything okay. Even though I did not play Animal Kingdom, I was still screaming and cheering as the horses crossed the wire. Also, I was able to catch some footage of one of my favorite parts of the Derby: the singing of my “Old Kentucky Home.” Watch the video below, and please excuse my terrible singing. I started my job at Churchill Downs last Wednesday and it has been nothing short of awesome. I have already had the opportunity to meet several stars of horse racing and have also enjoyed getting to know all the people on the backside that are so important to this game. If you would like to read Churchill Downs’ barn notes that I have been co-writing then you can follow this link: http://www.churchilldowns.com/category/news-category/barn-notes. The notes titled, “Routine Day for Preakness Hopefuls,” gave me my first ever “by line.” It was pretty cool to see “By Gary Yunt and Travers Manley” on Churchill Downs’ website. I am so blessed to have the love and support of God and my family because without them I would not be where I am today. My mom and dad always tell me that I am responsible for my achievements and they didn’t have anything to do with it. “You went out and accomplished all this on your own,” they say. Well the truth is, I would not have achieved anything without them. I am the young man I am today because of their love and support. They will say they had nothing to do with it, but they had everything to do with it. I appreciate all of the compliments that I get on this blog, but the people you really need to congratulate are my parents. They’re the impressive ones, not me. Well…that’s all for now. Have a great week! Last Friday was an absolutely gorgeous day in Lexington and I was fortunate enough to spend the day at Keeneland. It was so nice to finally have good weather for a weekend day of racing. There was a wonderful crowd on hand to celebrate the closing day of the 2011 Keeneland Spring Meet. I was happy to see that there were thousands of 20-somethings in the crowd and several of my close friends were also able to make it out to the races. The highlight of the day came when I got to speak to Mr. Ted Bassett. He was sitting outside of the Keeneland gift shop doing a book signing with Nick Nicholson and Bill Greely. I waited until the end of the signing and then walked over to the table he was at and approached him. When he saw me walking his way, he got a big smile on his face, jumped up from his chair, and greeted me. For those that do not know, I met with Mr. Bassett back in March to seek his advice about what I should do with my life when I graduate. I had not seen Mr. Bassett since then and so I went up to tell him about my new job at Churchill Downs. He was so excited for me and thought it was wonderful. He even introduced me to Mr. Greely and I spoke with him for a few minutes. Before saying goodbye, Mr. Bassett said, “Travers, I’m very proud of you.” I will remember that moment forever. On a quick side note…On March 31, Mr. Bassett came to speak at the University of Kentucky as part of the Equine Initiative’s Distinguished Lecture Series. He spoke for over an hour about his early days in Kentucky, college life at Yale, time in the Marine Corps, and experiences in the Thoroughbred industry. If you have some extra time, I strongly encourage you watch the video of Mr. Bassett’s speech. You can watch it at http://video.ca.uky.edu/videos/video/136/. After speaking with Mr. Bassett, I had to get a few notes for Keeneland. I spoke with Ken Ramsey about winning the owner’s title, Ken McPeek about winning the trainer’s title, and Rosie Napravnik after the G2 Elkhorn. Getting quotes from these people was my final task as a Keeneland employee. 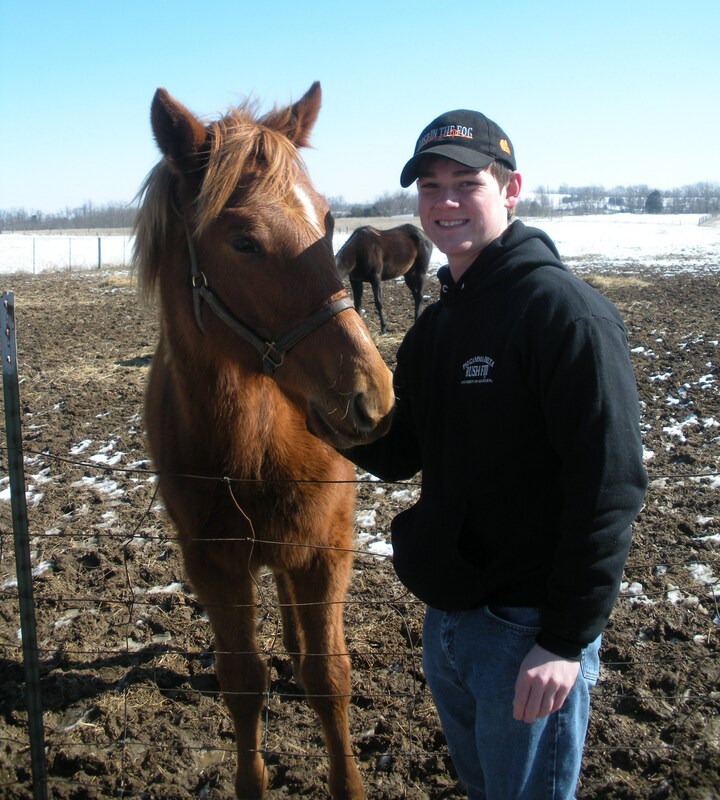 I began working for Keeneland in August of 2009 and have steadily worked as a member of the Keeneland team since then. It has been an amazing experience working for such a wonderful company. My experiences were so great that Keeneland was recently awarded the “Most Influential Internship Site” by the University of Kentucky’s Equine Initiative Program. The award is well deserved and I will forever be grateful to Keeneland and, more specifically, Julie Balog (Director of Communications) for teaching me so much. I am now ready for some “firsts.” I am ready for my first (and only) college graduation. I am ready for my first Kentucky Derby as a Churchill Downs’ employee. I am ready for my first “real” day of work at Churchill Downs on May 12th. I am looking forward to seeing Skype and Faith run in a race for the first time. I am looking forward to Skype and Faith’s first wins. There are countless other things I am looking forward to in the next few years, so that is only a few. The point is that I have had a good share of lasts this year and, rather than being sad about these “lasts,” I will choose to look forward to the firsts. Sky was scheduled to be bred last Monday on April 4th; however, I was informed by my veterinarian the night before that she would not be ready. So I woke up extra early the next day and called Airdrie to cancel Sky’s appointment. I rescheduled for Thursday afternoon and was told on Wednesday that she would be ready to go. After my morning classes on Thursday, I headed out to Airdrie to be there for the 2 o’clock breeding. At about 1:50 I got a call that the van with Sky was running a little late. Sky is incredibly protective of her foals, which is usually a good thing until you try to get her on a van and leave Faith behind. Needless to say, Sky was not the easiest horse in the world to load and so the van ran a little behind schedule. While I waited on the van to arrive, I took a couple of pictures with my phone. One of Stevie Wonderboy and one of the big man on campus at Airdrie, Indian Charlie. The van made it to Airdrie around 2:15 and Sky was bred just a few minutes after that. Stevie was a professional and everything went smoothly. Sky then got back on the trailer without a problem and headed back to her home at The Croft, where she was happily reunited with Faith. On Friday, I received word that Sky ovulated after the breeding. Now the waiting begins. Sky will be checked 15 days post-cover for pregnancy. 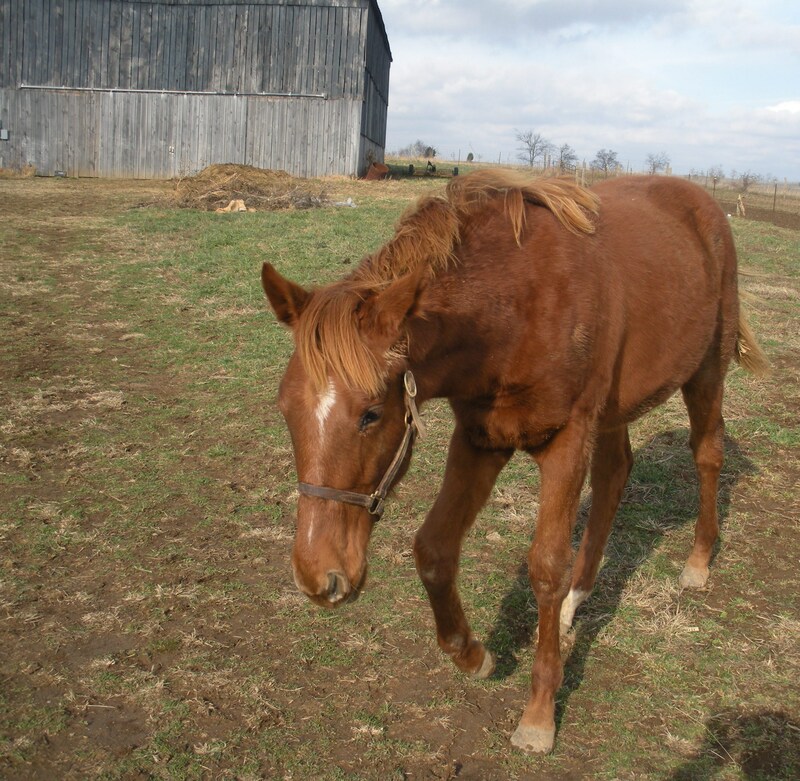 I should know if she is in foal by Easter weekend. Everyone keep their fingers crossed! Last Friday was my last college scholarship day at Keeneland. College scholarship days are held once every meet and I attended all eight that were held during my time at UK. Unfortunately, while I went 8 for 8 in attendance, I went 0 for 8 in winning a scholarship. Although I didn’t win a scholarship, I still had a great time as always. I began my final college scholarship day by handing out flyers for TVG’s “The Late Double” show that will be filmed at Keeneland this Friday. Some people hate handing out flyers, but I had fun with it and distributed about 1,000 flyers in three hours. After I finished working for TVG, I teamed up with the Keeneland “notes team” to get quotes from the connections after the Transylvania Stakes. My job was to interview the jockey of the 2nd place finisher, which happened to be Julien Leparoux. I always interview the connections of the losers, while Mike Battaglia interviews the winning connections. I actually joked with Julien the day before that he should hope that he doesn’t have to talk to me much this meet. It was very funny that my first interview of the meet was with Julien. He was not thrilled to see me, but he laughed it off. This afternoon I decided to head out to Keeneland for the April 2YO in training sale. I always enjoy the excitement of Thoroughbred auctions and I was also curious to take a look at the lone horse by Stevie Wonderboy in the sale, hip #48. The dark bay or brown filly out of Quanah County was consigned by Kirkwood Stables, agent, and sold for $70,000 to Side Management Ltd. Hopefully she turns out to be a nice runner and I wish all of her new connections the best of luck with her. 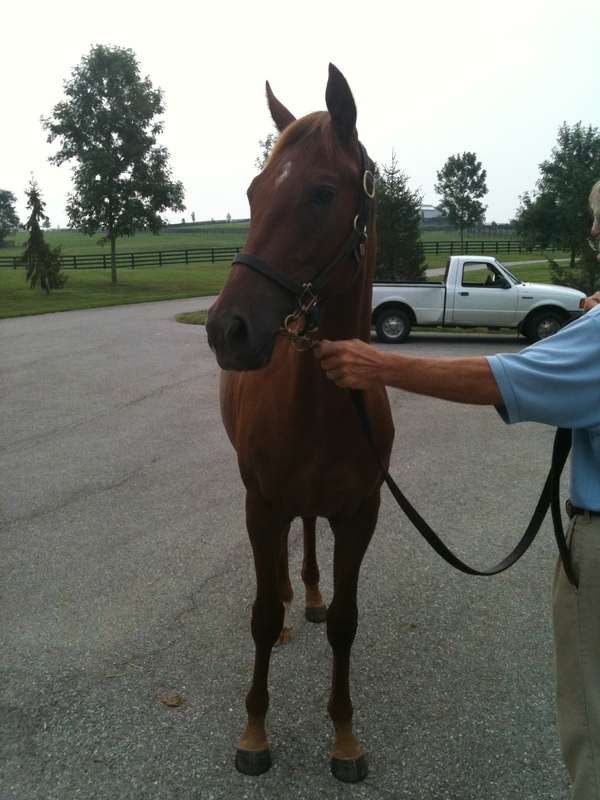 I stuck around for another couple of hours after the Stevie Wonderboy filly sold and wandered around the sales pavilion. It was a lot of fun to simply enjoy the excitement of the sale. I also got to speak with some of my friends in the industry that I do not get to see very often. After socializing a bit, I went to the dining area to eat a chicken salad sandwich from Turf Catering. I decided after eating the sandwich in about five minutes that Turf Catering will be catering my wedding. To my future wife: this is non-negotiable. While trying to decide if I could eat another whole sandwich, I noticed trainer Mike Stidham sitting a few tables away. I needed to get some information from him about Willcox Inn for the Toyota Blue Grass Stakes post position draw on Wednesday, and so I approached him. Mr. Stidham was one of the trainers that I wrote a short biography on for the Breeders’ Cup website and so we had spoken many times before. I got the information that I needed and then we began talking about other things. 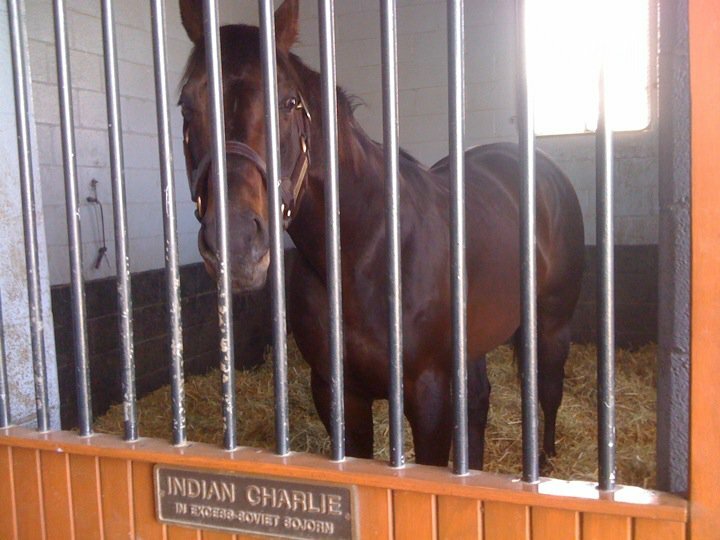 He was curious about how I got involved in horse racing, how crazy my parents are for naming me after a horse race, and what I wanted to do with my life. We even talked about the future of horse racing, breeder awards programs, and race day medications. He probably had a lot more important things to attend to; however, he took some time to talk with me and I really appreciate it. I have had to talk to a lot of people in the Thoroughbred business over the last two years through working on the Breeders’ Cup Bio Book team and the Keeneland notes team. Very few, if any, have been as enjoyable to talk to as Mike Stidham. He’s never treated me with anything but great respect and kindness and has always made time to answer all of my questions. Cheers to you, Mike Stidham. Friday is opening day of Keeneland’s 2011 Spring Meet and also College Scholarship Day. Keeneland holds a College Scholarship Day every year during the fall and spring meets. After attending the races this Friday, I will have attended all eight Keeneland College Scholarship Days that have been held during my time at UK. If you are unfamiliar with Keeneland’s College Scholarship Day, or you’re just interested in my cinematography skills, you may watch the video below. I produced and filmed the video for Keeneland’s YouTube page to give fans a glimpse of the event. I will no longer be making videos for Keeneland (at least I don’t think); however, I will still be highly involved during this meet. On Friday, I will be handing out information for TVG to college students, and this weekend I will help organize the Toyota Blue Grass Stakes post-position draw event. Also, every Friday and Saturday of the meet I will be tracking down owners, trainers, and jockeys to get their thoughts and opinions following stakes races. This can be a very interesting and exciting job; however, it’s not always great fun to interview the connections of a beaten-favorite in a stakes race. I’ve been chewed out a couple of times, but it’s part of the job. I will be at Keeneland just about every day that there is live racing. If you are planning on making a trip to Keeneland, let me know and perhaps we can meet up. There will be beautiful horses, beautiful women, beautiful scenery, great racing, and hopefully fantastic weather. It’s not something you want to miss! Part three of the “Closer Look at Stevie Wonderboy” series is going to be pretty short because his stallion career has only just begun. Hopefully some of you will still find some of the provided statistics interesting. On June 28, 2007, after being unable to recover from an injury, it was announced that Stevie Wonderboy would be retired from racing for stallion duty at Airdrie Stud. His initial stud fee was $17,500; however, his fee would drop to $15,000 in 2009 and $10,000 for the 2010 and 2011 seasons. 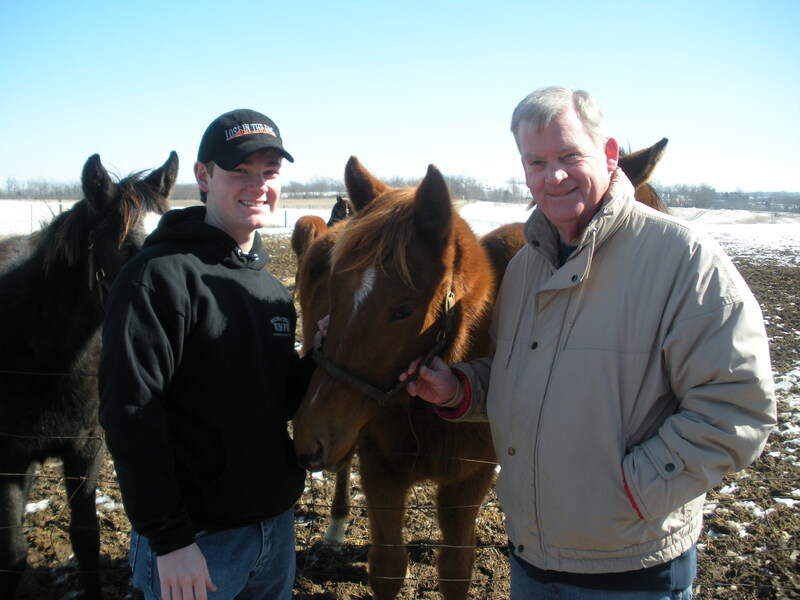 He would stand his first season in 2008, covering 107 mares that would result in 73 live foals. 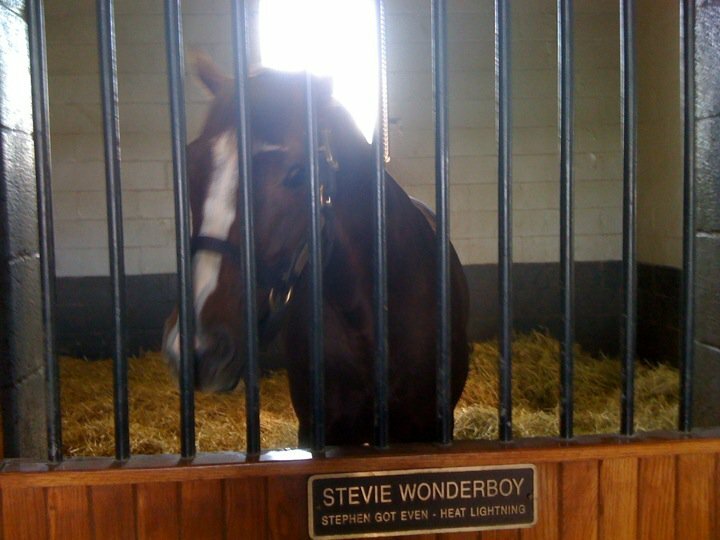 The following year, Stevie Wonderboy covered 53 mares that resulted in 38 live foals of 2010. This past year he covered 59 mares. 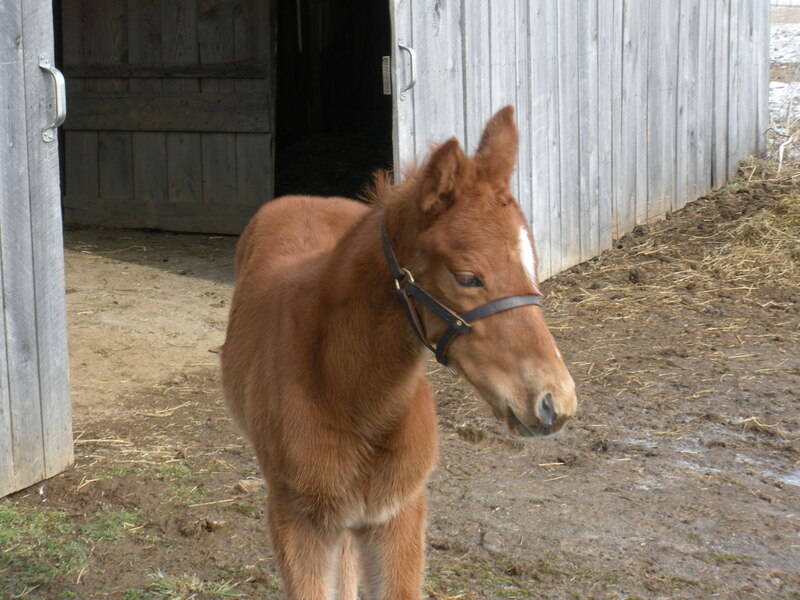 Obviously the number of live foals of 2011 by Stevie Wonderboy is not yet known. 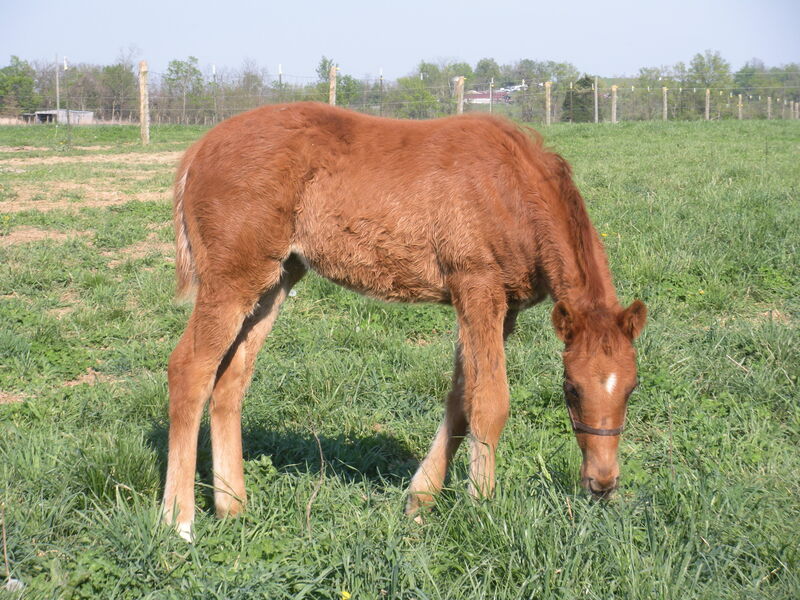 Based on his prior live foal percentages, one can expect around 40 live foals to be born this year. I honestly do not know how large his book is this year, but I would assume that it will once again be in the 50-60 range. Although he has yet to have starters (his first foals are two-year-olds of 2011 and will race this year), Stevie Wonderboy’s progeny have had some decent success in the sales ring. Below are the sales statistics for Stevie Wonderboy for 2009, 2010, and 2011. All information was provided by The Blood-Horse‘s Stallion Register. Weanlings – 8 offered, 4 sold; $53,000 average, including a filly out of Road to the Ball that sold for $72,000 at the Keeneland November Sale. Yearlings – 65 offered, 40 sold; $28,845 average, including a $170,000 colt out of Harlan Honey and a $90,000 colt out of Beloved by All. 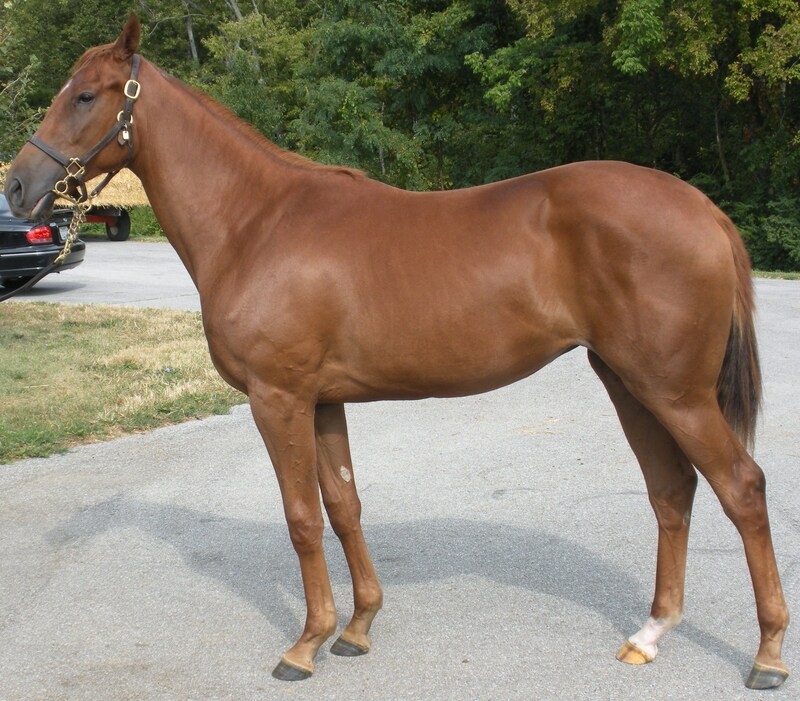 Both horses were sold at the Keeneland September Sale. Two-year-olds – 7 offered, 3 sold; $20,000 average. The sales numbers are decent for a horse whose foals have yet to hit the track, but there is definitely room for improvement. Buyers are willing to pay more for horses by a stallion that has a proven record of producing high-class performers on the racetrack. Hopefully, dozens of two-year-olds from Stevie Wonderboy’s first crop will break their maidens in 2011 and a handful will be stakes performers and stakes winners. I know one thing for sure is that I’ll be rooting for every Stevie Wonderboy as if it were my own; just like I cheer for every Even the Score and just like I’ll someday cheer for every foal by Parading. Go Stevie Wonderboy! Go Parading! Go Even the Score! A couple of days ago I gave some detailed information about the pedigree of Stevie Wonderboy. Today, I’ll take a look at his short, yet very successful racing career. Stevie Wonderboy, who was bred by John Gunther, Tony Holmes, and Walter Zent, was born on March 27, 2003 in Kentucky. After failing to meet his reserve at the 2004 Keeneland September Yearling Sale, Stevie Wonderboy would be sold for $100,000 at the 2005 Fasig-Tipton Calder selected two-year-olds in training sale. 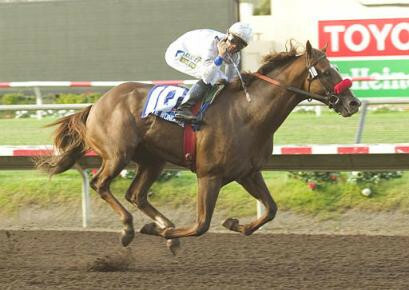 Trained by Doug O’Neill and racing under the colors of Merv Griffin, Stevie Wonderboy made his career debut in a Maiden Special Weight at Hollywood Park on June 18, 2005. He steadied at the half-mile pole and ran hard to secure a second place finish to eventual multiple graded-stakes winner, What a Song. It would be the first of two times Stevie Wonderboy would be beaten by What a Song. Stevie Wonderboy flashed enough talent in his debut that Doug O’Neill confidently entered him into the G3 Hollywood Juvenile Championship S. for his second start. He was a bit slow into stride, but ran well at the end to finish third behind What a Song and Bashert at odds of 4.20 to 1. After running a decent third in a G3, Stevie Wonderboy was given a class break and entered into a Maiden Special Weight at Del Mar on August 6, 2005. He stalked the pace, took the lead nearing the stretch, and never looked back; cruising to a four-length victory as the 2/5 favorite. Coming off a convincing victory in his last start, Stevie Wonderboy was favored in his next race: the G2 Del Mar Futurity. He did not disappoint and galloped home to a five-length victory for his first graded-stakes win. The race would serve as his final prep for the G1 Bessemer Trust Breeders’ Cup Juvenile. Stevie Wonderboy broke from post 12 and had lots of trouble in the BC Juvenile. The Equibase chart of the race notes that he “checked at the start, clipped heels and stumbled along the backstretch, and raced far back for a half.” Once he settled down a bit, he quickly got back into the race and circled four wide entering the stretch. Stevie Wonderboy then finished very strong and the chart says he “charged to the front inside the sixteenth pole, then edged clear through the final fifty yards.” It was the biggest victory of Stevie Wonderboy’s career as he defeated a tough field that included Henny Hughes, First Samurai, and Brother Derek. The win gave Stevie Wonderboy a Grade 1 victory and secured his 2005 juvenile championship. Stevie Wonderboy’s exciting win in the 2005 Breeders’ Cup Juvenile (along with a post-race interview with the connections) may be viewed in the video below. Following his victory in the Breeders’ Cup Juvenile, Stevie Wonderboy was given the rest of 2005 off. 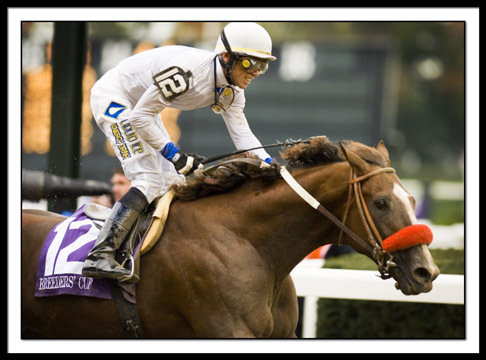 He returned to racing on January 14, 2006 in the G2 San Rafael S. at Santa Anita. He ran a decent race, but was unable to catch Brother Derek and finished second as the 3/5 favorite. The San Rafael would be Stevie Wonderboy’s final start. Unfortunately, Stevie Wonderboy suffered an injury to his right front ankle while training in February of 2006. He was able to eventually return to training after several months off; however, he was soon put back on the shelf with a chip in the same ankle. The connections were hopeful that he would someday return to racing, but he would never make it back to the track and was retired in June of 2007. Stevie Wonderboy finished with a record of 3 wins, 2 seconds, and 1 third from 6 starts and career earnings of $1,058,940. I’m sure many were very disappointed that the juvenile champion was only able to make one more career start; however, Stevie Wonderboy retired as a champion, G1-winning millionaire. I’ll take a barn full of those!